« No MIDI Turntable? No problem! It has been quiet for a while on the updates, I have moved most of the action towards Facebook – find me and friend me there! In the meanwhile, progress on the MIDI Note Fader has not stopped, on the contrary. The original MIDI Note Fader in a fully standalone unit, driven by proprietary onboard software. With integrated display and controls. Drop in your x-fader, choose a scale and start hitting notes! This product is intended to be used with another mixer (main mixer), e.g. a Z2 or a Vestax 05. You use the x-fader of your main mixer and drop it into the MNF standalone. A 4-pin x-fader extension wire is included and needs to be connected to your main mixer’s x-fader lead. Scale selection, reverse option and the actual ‘MIDI Note’ vertical movement are being done in the standalone unit. All other controls (gain, EQ, master etc.) remain with your main mixer. Connect a MIDI male-to-male cable from the unit to your turntable to control the turntable. A USB MIDI hub can also be used to control e.g. a VST in a similar manner. The Standalone unit is powered by USB (either from PC/laptop or e.g. a cell-phone wall-charger). The USB cable for power is included, a wall-charger and a MIDI cable are not. 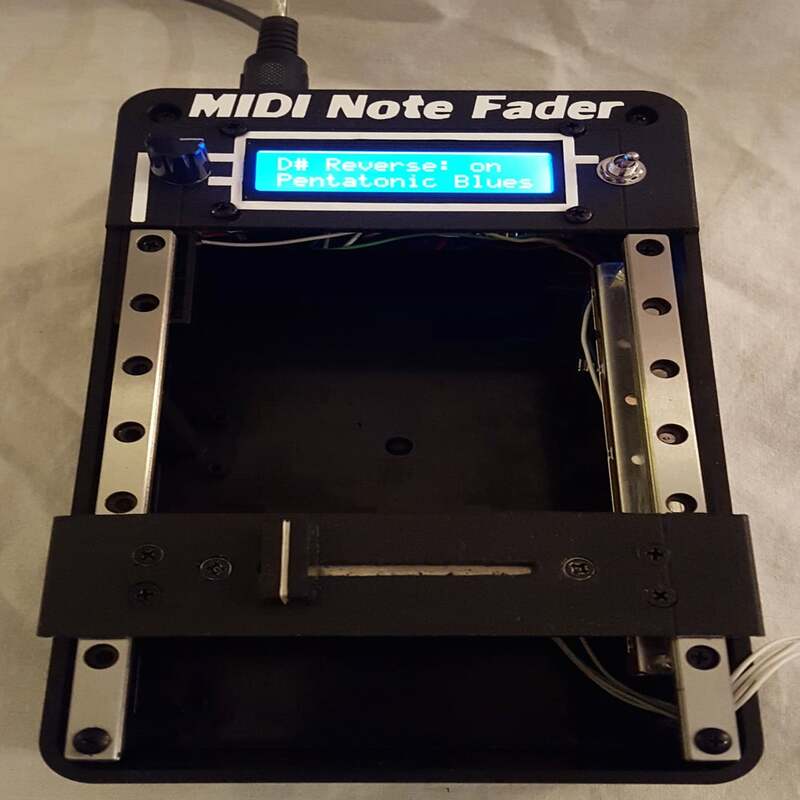 Click here to read more and visit the shop of the MIDI Note Fader!